We haven’t solved world hunger yet, but we’re making strides here in Arlington. The best part of collaborating with 22 incredibly generous hyperlocal restaurants is that we can bring them together to do great things in just one afternoon! 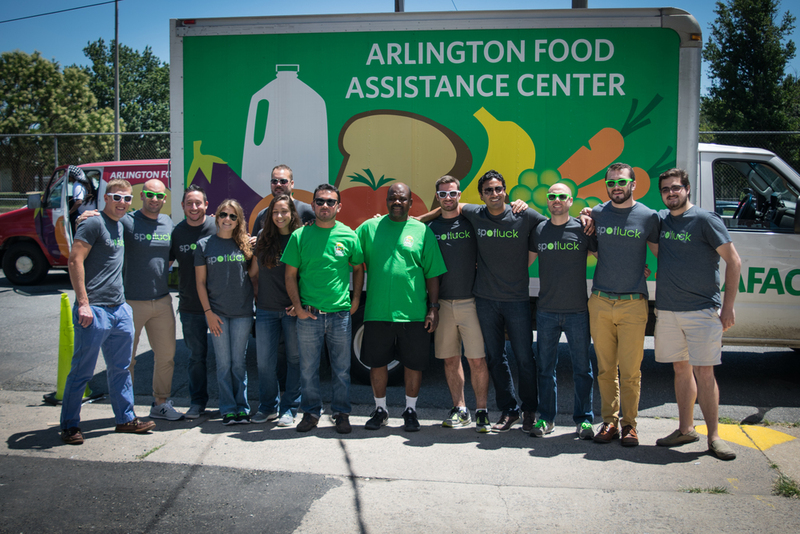 On July 24, we worked with the Arlington Food Assistance Center (AFAC) to provide a buffet-style dinner to over 100 families in Arlington. Check out our video below to learn more about our Arlington Spotluck Potluck. Thanks to our partners and friends for helping make this inspiring day a success! Join us in thanking our great restaurant partners by supporting: A-Town, Arlington Rooftop, Bangkok Bistro, Bistro 360, Bracket Room, Don Tito, El Ranchero Bar & Grill, Faccia Luna, Fuego, Guarapo, Il Forno, Mad Rose Tavern, Me Jana, Mussel Bar, Nam Viet, Shiki Sushi, Sushi Rock, Spice, Tara Temple, The Boulevard Woodgrill, Whitlow’s on Wilson, Zaika.